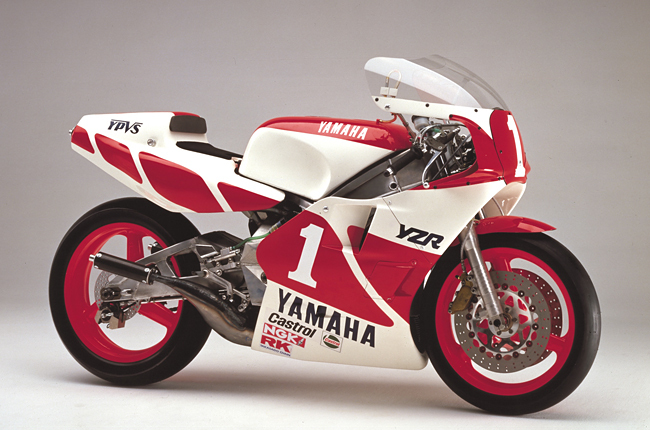 YZR500(0W81) - race | Yamaha Motor Co., Ltd. The V-4 engine on the 0W81 was fully re-designed. The unique design in which two shafts of the twin-shaft crank were designed to revolve in opposite directions (forward shaft revolving in direction of machine forward motion, rear shaft opposed to direction of forward motion) reduced the negative effect of the gyro moment on the handling stability. Furthermore, using the outer framework of the engine as a structural member of the frame to increase rigidity also contributed to this machine's outstanding handling performance. 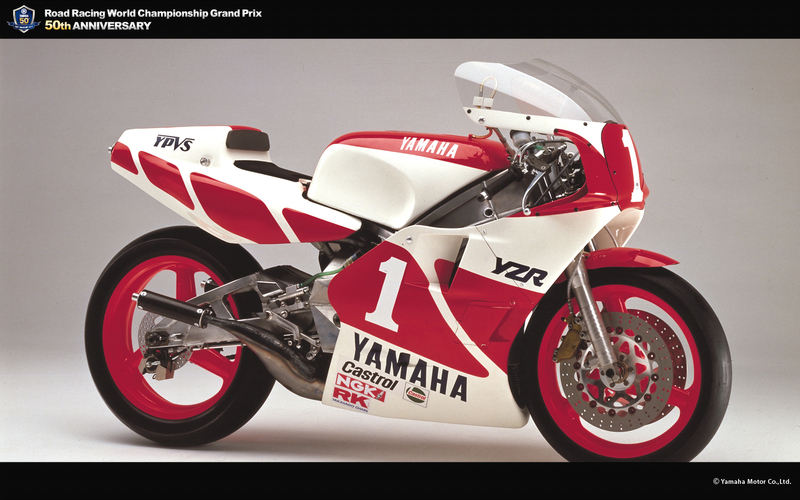 This machine helped E. Lawson and C. Sarron battle to 2nd and 3rd places respectively in the 1985 season. 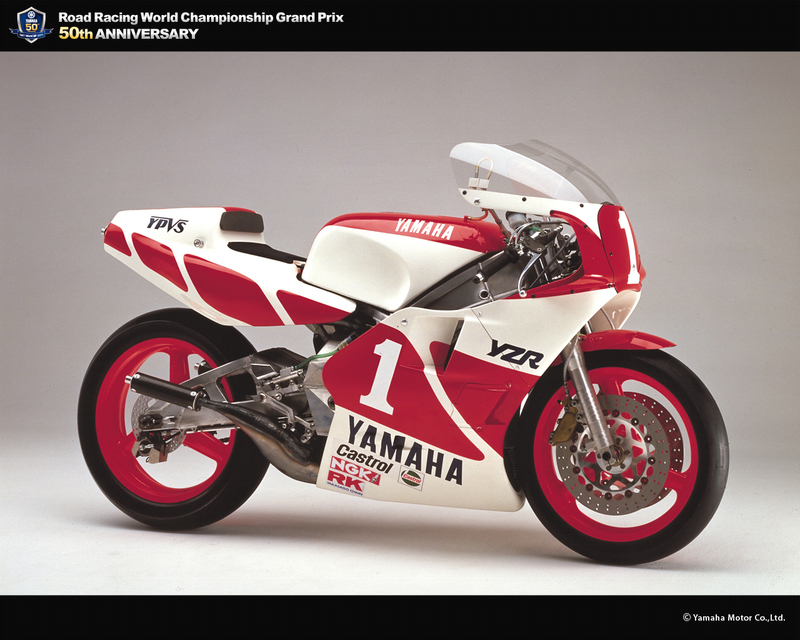 For 1986, a further boost in power output (140PS→145PS) optimized dimensions and a new seat shape improved competitiveness and propelled Lawson to his second World GP500 title in three years. 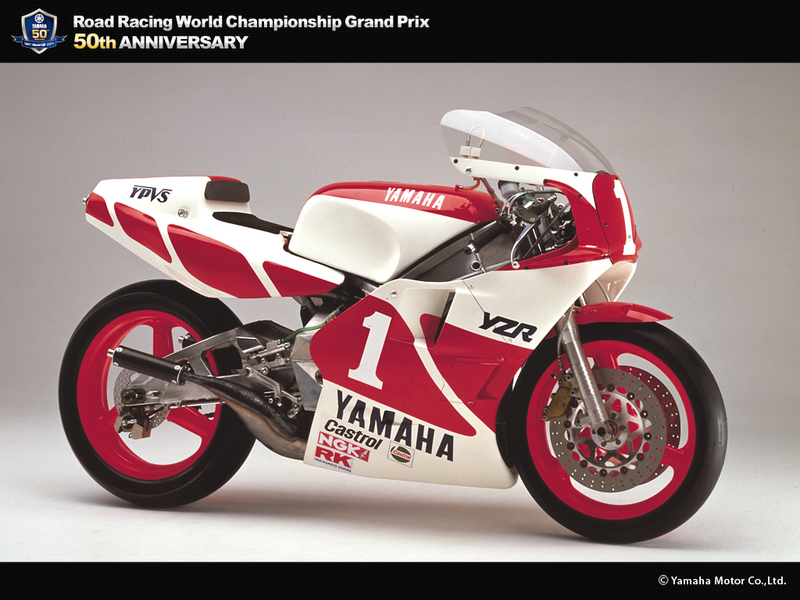 It also powered Tadahiko Taira to his third consecutive title in the 500cc class of the All Japan Championships.